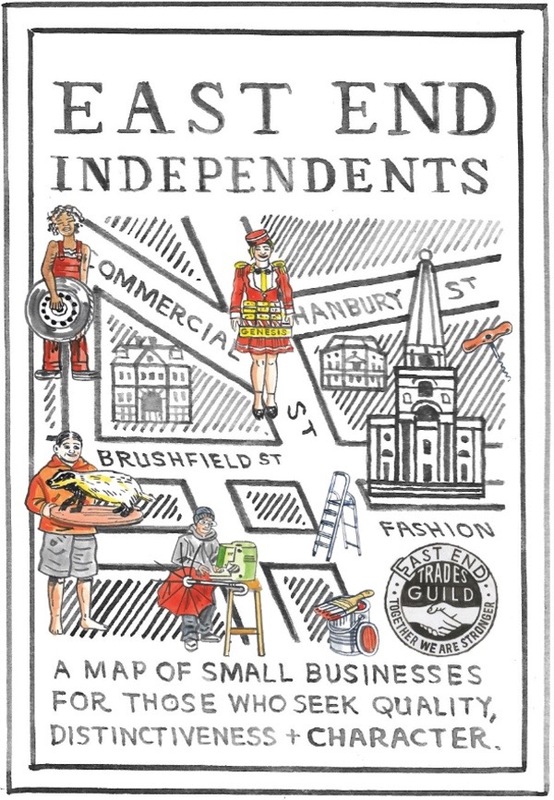 Celebrating Small Business Saturday tomorrow, the East End Trades Guild commissioned Adam Dant to draw this map showing the location of their members – the small shops, family businesses and independent traders. 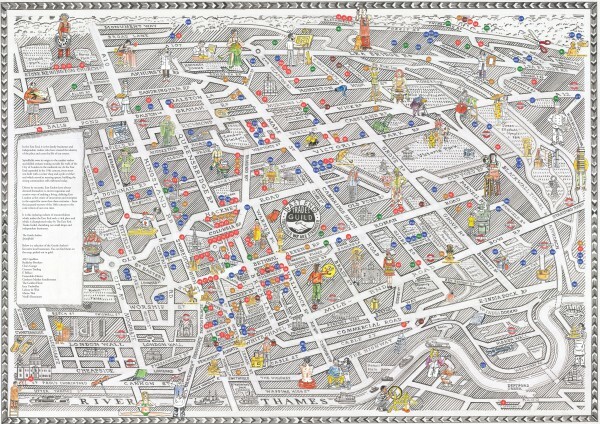 Pick up your free copy from any of the places listed on the map. In the East End, it is the family businesses and independent traders who have created the identity of the place and carry the life of our streets. 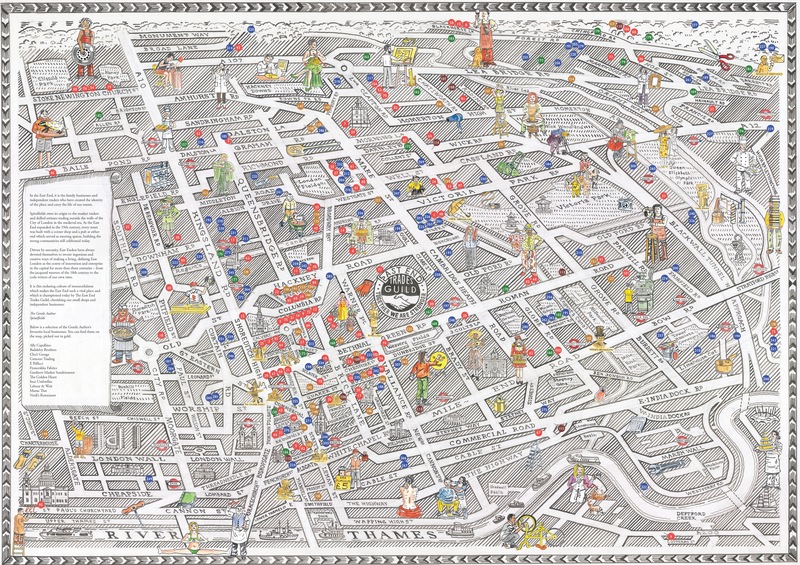 Spitalfields owes its origin to the market traders and skilled artisans trading outside the walls of the City of London in the medieval era. As the East End expanded in the nineteenth century, every street was built with a corner shop and a pub at either end which served as meeting spaces, building the strong communities still celebrated today. 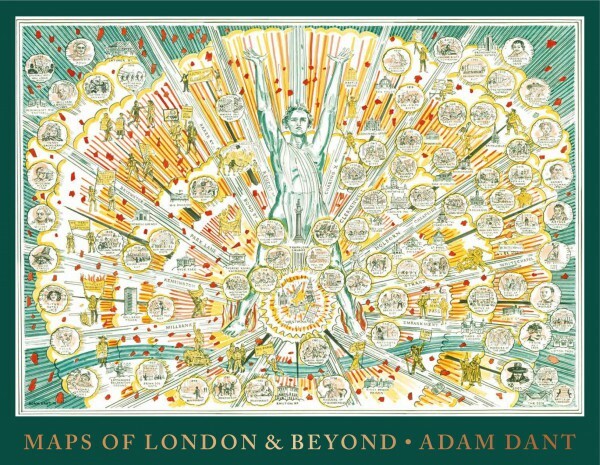 Driven by necessity, East Enders have always devoted themselves to invent ingenious and creative ways of making a living, defining East London as the centre of innovation and enterprise in the capital for more than three centuries – from the jacquard weavers of the eighteenth century to the code writers of our own time. 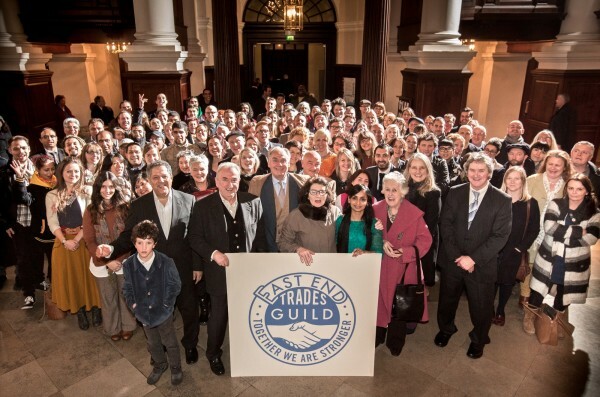 It is this enduring culture of resourcefulness which makes the East End such a vital place and which is championed today by The East End Trades Guild, cherishing our small shops and independent businesses.